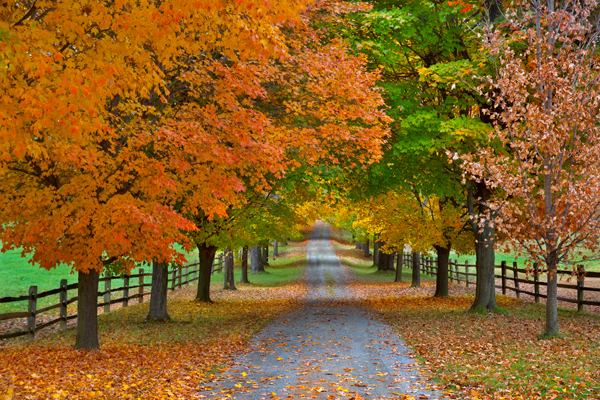 This country lane is another location that I had stored in my memory banks for future possibilities,and thankfully I got to shoot it before all the leaves had dropped. I like the fact that you can’t see the end of the lane,which leaves you wondering what might be waiting and beckons you to walk down to find out. I posted a summer image from this lovely location a few months ago, and thankfully I decided to drive by and see what it might be looking like now. 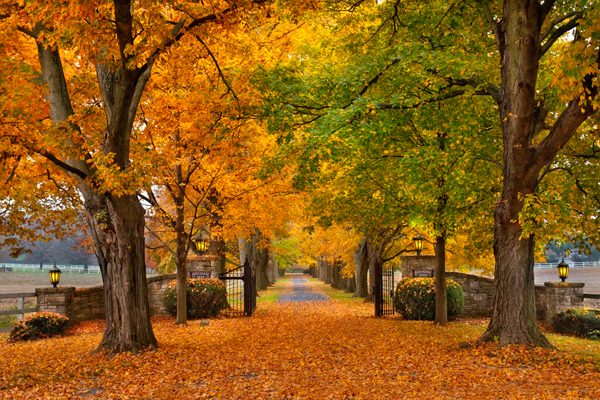 The old maples were in their prime of fall color transition and the fact that fallen leaves were covering the entrance and sporadically covering the lane as well made for an impressive sight in my opinion.The property is gated at the stone wall and posted as well,but after I spoke with the groundskeeper and gave him a few large prints from my first visit,he was all too glad to welcome me back.I started shooting at the entrance and then moved up the lane for a variety of angles,and at one point the keeper pulled up on his tractor and offered to open the gate,which allowed me to get what is perhaps my favorite view. The lit lanterns on the stone walls finished off this fall scene,which will be just a memory if hurricane sandy hits the east coast as predicted. trees will be blown clean of leaves,which makes my visit even more special only days before the storm. I just returned from a five-day trek to the Lake Placid region in New York, which was more challenging than I had anticipated. Foliage was decent,but the area is known as the high peaks region,which meant you are often in between mountains with not a lot of valleys to see farms etc. I am sure if I had researched the area more before visiting, I would have been better prepared to shoot in that setting. 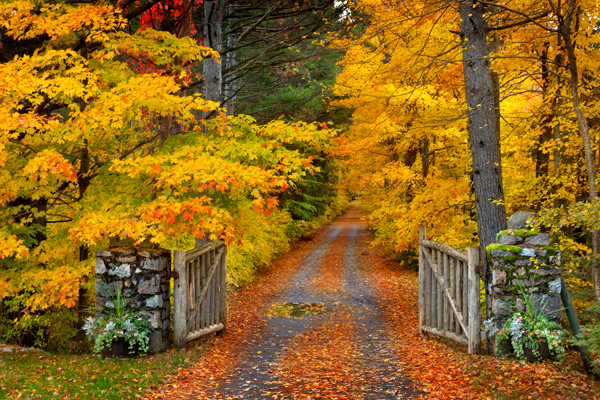 Foliage was slightly past peak,but still lovely as evidenced by this private lane with a rustic log gate with brilliant foliage surrounding it that I shot on the way in to Lake Placid. I will share more images in the days ahead as I get to them. 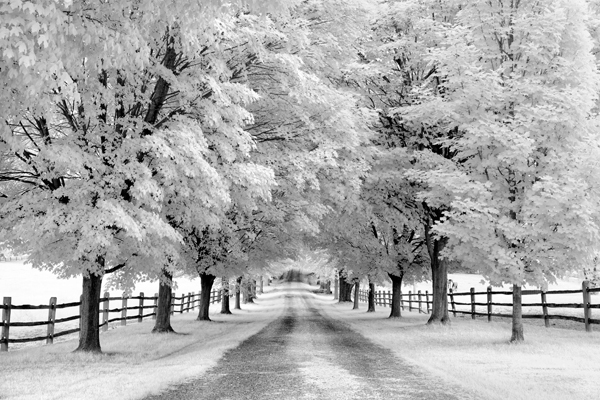 This is another lane that I have come across in my travels.This time I decided to shoot it in infrared,and even though it was totally overcast there seemed to be a good amount of infrared going on. I hope to remember this spot come autumn. 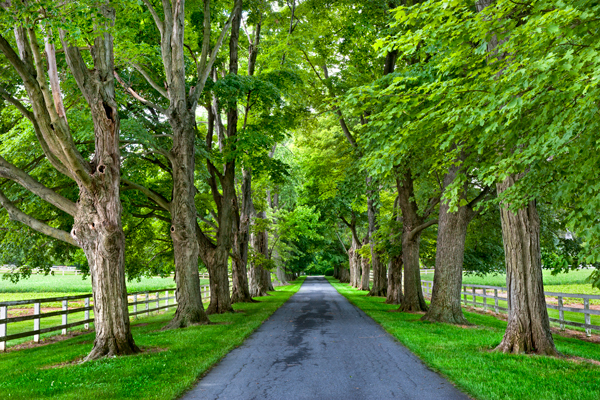 This tree-lined lane is the entrance to a lovely property located along a rural road in Eastern Pennsylvania. The property has an iron gate at the entrance, but I got lucky, as the owner noticed I had stopped to look at it while he was mowing. He pulled up and asked if I wanted to walk in through the gate and shoot a few photos in exchange for a print. Obviously I jumped at the offer and hope to revisit it in the fall or winter perhaps. 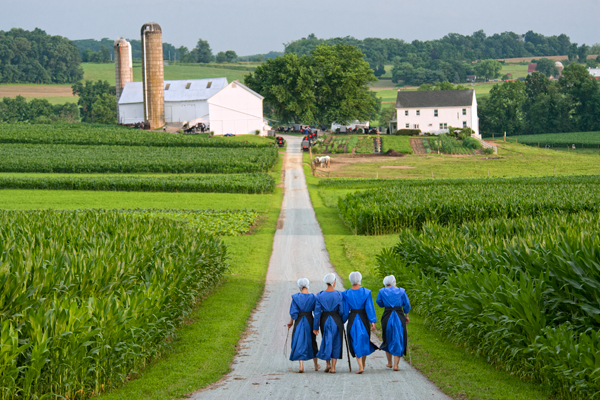 I could see an old classic car or perhaps a horse-drawn carriage coming up the lane.